The Sabian AAX Effects Cymbal Pack consists of a splash cymbal and a China cymbal and includes a FREE drummer towel and DVD. A cost-effectiv.. 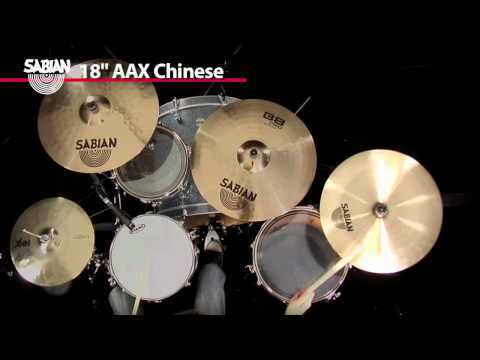 The Sabian AAX Effects Cymbal Pack consists of a splash cymbal and a China cymbal and includes a FREE drummer towel and DVD. A cost-effective way to add an extra tonal dynamic to your cymbal set up. Consisting of a splash and China, this Sabian Cymbal set is a brilliant way to add some new sounds to your standard cymbal set up. 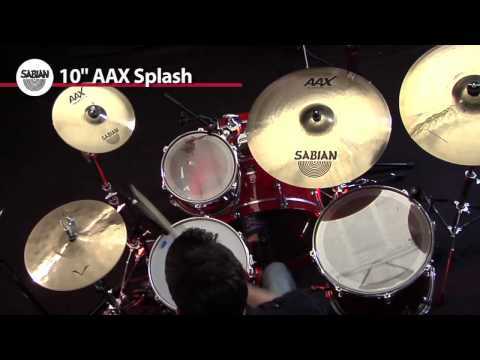 The 10” AAX Splash Cymbal offers an extremely fast attack and a very bright sound. Perfect for adding penetrating accents, this little splash cuts through the mix with ease. Delivering a bright, biting response, this 18” China produces an impactful sound. Ideal for adding one off accents or for playing ride patterns, this Sabian China produces a big, trashy, brash tone. Offering the ideal way to expand your sound palette, this effects cymbal set is a cost-effective option. Featuring a clear, cutting splash and a bright, trashy China this is a superb choice if you’re looking to push your creativity.